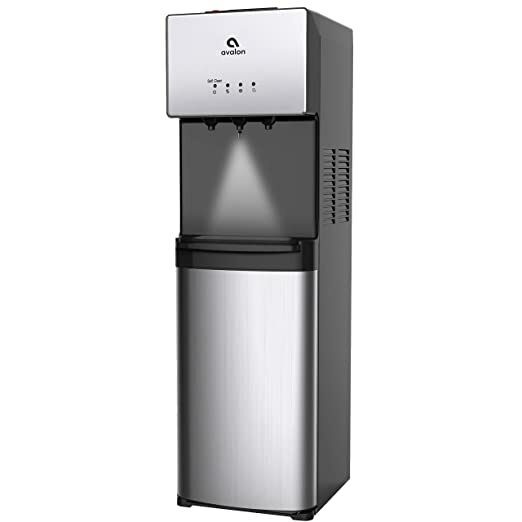 Today, April 19th only, on Amazon.com get this Avalon Water Coolers for only $199.99 shipped (regularly $299.99). These water dispensers feature built-in nightlights to make the water spouts clearly visible at night, indicators that light up when filters need to be changed and child safety locks on the hot water spouts to keep little fingers from getting burned. Even sweeter, their self-cleaning ozone feature sanitizes the dispenser to eliminate germs and bacteria and the water bottle is loaded from the bottom, so no more straining and spilling! 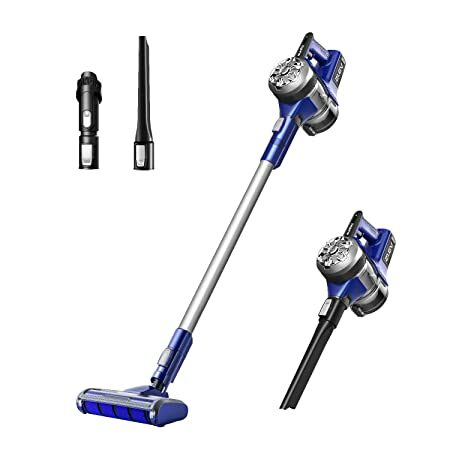 On Amazon.com you can now get this Eureka PowerPlush Cordless Vacuum Cleaner for only $110.42 shipped (regularly $169.99) after you clip the $35 off coupon located under the price. This vacuum weighs just over 5 pounds and features a plush brush roll that grabs even the smallest particles from hard floors. The low profile nozzle helps you clean under and around furniture and it includes 2 cleaning tools, an easy-to-empty dust cup, an anti-allergen filter, a 2-in-1 upholstery tool and a wall mount station. Plus, you can easily remove the hand vacuum for above floor cleaning! Through April 22nd, on ECCO.com where they are offering an extra 40% off sale shoes and accessories when you use promo code SPRING19 at checkout. Even better, also through April 22nd, you can also get free shipping on all orders! ECCO Kyle Casual Tie Shoes $99.99 (regularly $120), Use promo code SPRING19 (40% off), Shipping is Free, Final cost $59.99 shipped! ECCO Sense Sport Sneaker $79.99 (regularly $100), Use promo code SPRING19 (40% off), Shipping is Free, Final cost $47.99 shipped! 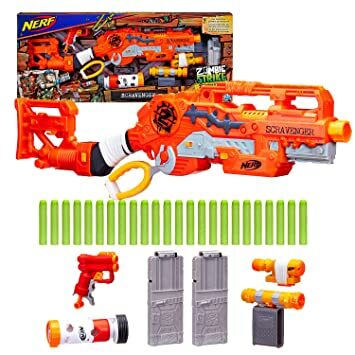 On Amazon.com you can now save BIG on select NERF toys for the kiddos including blasters, darts and more! 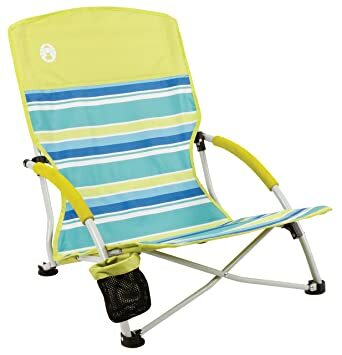 On Amazon.com you can now get this Coleman Utopia Breeze Beach Sling Chair for just $26.99 (regularly $34.99). Even better, shipping is free with Amazon. This low chair is perfect for the beach or youth sporting events. It is suitable for up to 250 pounds, features a seatback pocket and cup holder. Plus, it comes with a carrying bag. On Walmart.com you can now get this VTech Stroll & Discover Activity Walker for just $24.99 (regularly $49.99) – lowest price! That seems like a great price as Amazon and Target currently have it priced at $34.99. This activity walker grows with your little one. It has a removable activity panel with five light-up piano keys, shape sorters and more. It is great for floor play for babies around 9 months old, and the legs fold for easy storage. As they get older, use it as a two-speed walker to help them learn to walk. The kiddos will love hearing the music play as they walk. On Walmart.com where you can now get this Lodge 5-Piece Seasoned & Enameled Cast Iron Cookware Se for just $59.64 shipped (regularly $79.64)! This seems like a nice deal as Amazon currently has this similar set in all black priced at $95.50. This cast iron cookware set includes a 5.5-Quart enameled cast iron dutch oven, 10.5″ cast iron round griddle, 10.25” cast iron skillet, and 8″ cast iron skillet. They are already preseasoned and are perfect for camping, tailgating and more! Through April 23rd, on Kate Spade.com now you can get the Surprise Sale and save up to 75% off handbags, totes, and more! Note that all sales are final. On BestBuy.com you can now this Apple MacBook Pro w/ 13″ Display in silver or space gray for just $899.99 shipped (regularly $1299.99). Even better, when you purchase this MacBook, you can score three Free months of Apple Music (new subscribers only) – $29.99 value. This freebie will be emailed to you once your order has been confirmed. The new MacBook Pro is razor-thin, featherlight, and faster than before. It has the brightest, most colorful Mac notebook display and features up to 10 hours of battery life. It also has 8GB’s of memory and 128GB’s of flash storage. 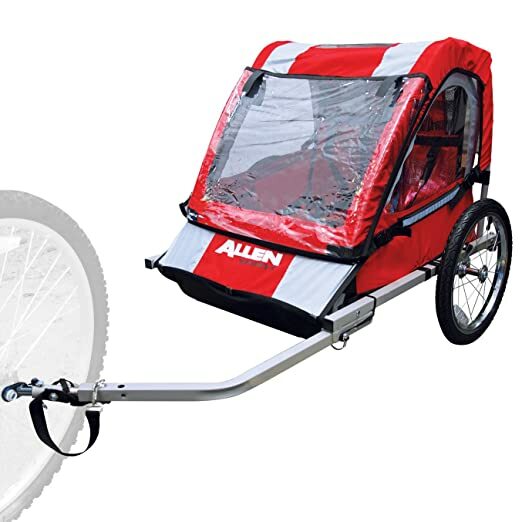 On Amazon.com where you can this Allen Sports Deluxe 2-Child Bike Trailer for just $74.99 shipped (regularly $149.99). With spring temperatures rising, this is a great time to get outside for a bike ride. This bike trailer can comfortably fit two children with a max of 100lbs total. It has oversized windows and padded five-point harnesses to keep your kiddo’s safe! Plus, it has a lightweight construction and easily attaches to almost any bike.